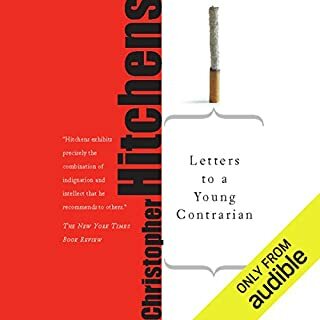 Hitchens may have offended many with this book, but one must bear in mind that he would never state a opinion without backing the argument with factual rationale. He was a meticulous researcher. Precious few people can make a point with such engaging authority and command of language. If rational thinking and healthy skepticism are part of your methodology, then you should take a listen. Much can be learned from this man. I've found it compelling enough to play it more than once through. Brilliant. Hitchens mumbles a bit in his reading but I still wouldn't want it read by anyone else. The book is a strong rebuke of religion arguing that there is overwhelming evidence that it is man-made. Hitchens delivers knock out punches with elegance, charm and respect. loved every second of it. Everything you would hope for from the great man. A melodic reading from Christopher Hitchens. Covers many of the points made in his many debates but is allowed the time and stage to himself to share his views. Hitchens has a great narrative style. He invites you to rethink about what you thought you knew about religions part in shaping the modern world by presenting the facts without trying to dampen the impact they have on the reader. The objective truth of how religion poisons everything is an important literary work that highlights why it is important to be a free thinker in today's world. Don't let other people think for you. Think critically for yourself and don't be afraid to disagree openly when you come across ideas that are weak or empty of a sound reasoned basis. Really great read (or listen). I really enjoyed it. Definitely recommend to religious and non religious persons like. Only comment is sound - sometimes his voice dropped quite deep and low. When combined with his rapid fire rate of talking it makes it difficult to understand, even unintelligible at moments. Easier to listen to quieter in environments. I wish there were more like it, thank you. Wow. I started reading this at 6am on a Saturday morning and could not stop until finished that evening. I've seen Hitchens before on news programs, and the man's opinions and intellect are irrepressible so I had some idea of what I was in for. Still, this book is just amazing. Bracing. Uncompromising. Informed. Secular. Hitchens' assault on Religion is without reprieve and may serve as a significant crossbeam in the structure of any atheist's mental architecture. I imagine that the faithful reading this to 'study up on the enemy' will find only things that make them very angry or uncomfortable. I do NOT think Hitchens will lead to any conversions; his style is far too abrasive. However, some folks do respond best to aggressive intervention. For me though, the best of this book is the clear breadth and depth of the author's mind. I simply cannot recall the last time I read anything so damned erudite. Agree or disagree with him, Hitchens is an amazing American intellectual. 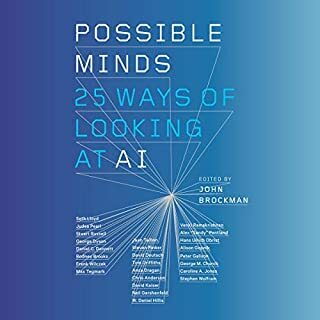 From here, I'm actually returning to one of Hitchens' cited authors, Bart Ehrman, whom I've explored only marginally before, but that is one of the real joys of this book –if you're a sincere explorer, Hitchens points out a dazzling number of fascinating areas on the map of human progress to explore yourself. Even if you don't accept his conclusions, you may be reminded of all those Enlightenment and earlier figures who form the dim constellation of our understanding that you glossed over in (perhaps graduate-) school, if at all. I'm certainly inspired to brush up. 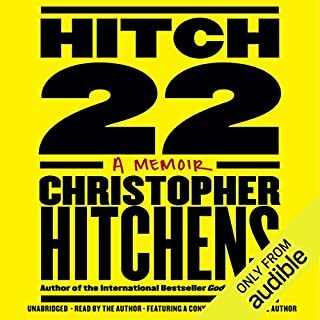 I love that this is narrated by Hitchins himself, which seems the best way to experience it. Those who feel they may need to recall and reference his arguments again may want a visual version in print or ebook format, but, especially now that esophageal cancer has taken his voice from him, I feel very fortunate (dare not say blessed!) to have this edition. 5-Star Writing. Perfect Author Narration. Okay, I'm officially angry--people have written reviews here claiming Hitchens's reading of his book is inaudible or full of mumbling. My fear is that you will read those reviews and decide on that point alone to eschew purchasing this book. Let me elucidate this for you: on perhaps 3 occasions in a book of more than 8 hours, Hitchens ends a sentence so quietly that its very hard to hear what he's saying. That's it. Juxtapose this non-issue with the insuperable benefit of having Hitchens read his own work. He knows just where to put the emphasis, where to sound incredulous. When he says "I" he really means it because its HIM talking. Couldn't have asked for a better reader. The book itself is plainly fascinating. Hitchens once said in an interview that one should read books which make one feel inadequate (in the positive intellectual sense). God Is Not Great is one of those books. Guaranteed to be one of the best credits you'll ever use. This book spurred me to research Hitchens and I discovered he is quite a remarkable man. The most impressive thing about Hitchens and his writing is probably his vocabulary. It's simply daunting and highly educational to listen to this book. And that's to say nothing of the immensely lucid, incisive, prescient and thoroughly convincing content of Hitchens's thesis that religion is man made and presents the greatest threat to the continuation of human prosperity. This is one of those "must read" books regardless of which side of the issue you fall on. 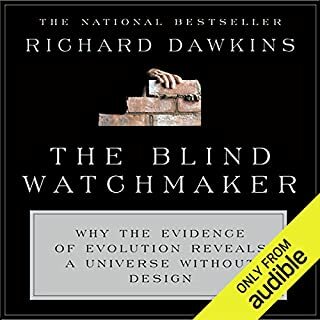 Note: Make sure to complement Hitchens with Richard Dawkins (The God Delusion) and Sam Harris (The End of Faith), both of whose major atheist texts are available in unabridged form on Audible, and both of which are as excellent, if not quite as succinct as Hitchens's book. For the best opposition view, read Dinesh D'Souza's What's So Great About Christianity? So you've read Bertrand Russell's 1927 essay Why I Am Not a Christian and you're wondering why read Hichens? It's more than cold, hard logic about only Christianity. 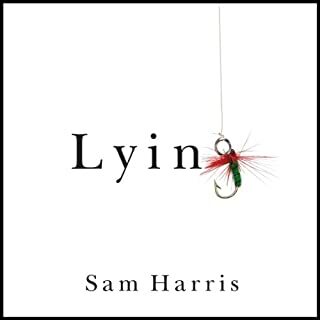 So you say you've read Sam Harris, The End of Faith and you're wondering the same thing? Well, Hichens is more than just about indicting Christians and really slamming Muslims. He's not so much about promoting atheism as Richard Dawkins as he is about promoting reasoned thought and critical thinking. Thinking that includes the unmasking of violence behind pacifist Buddhism which blew my socks off. And what about that mumbling narration by the author? Is it that bad? It really is. I would have thought that a book this good with so much to be proud of, the author would have taken more care to enunciate a little bit more clearly. So here is what I would recommend: wear earphones. I have Bose noise-canceling earphones that worked just fine. Listening in the car did not work at all. One of the best parts of the book, the author's wit, is lost in his endings of so many sentences into audible unintelligibility. The author has a beautiful voice and I loved listening to it... when I could hear it. 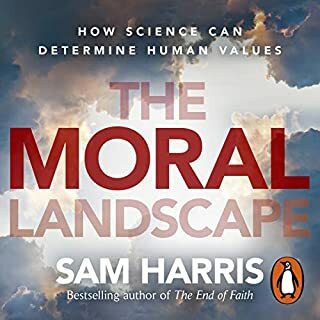 So why read/listen to this book? It is just that good. Christopher Hitchens is a brilliant man. In my personal opinion I can't think of another living human being who I would consider more intelligent. He is also an independent thinker. Those who know him, or come to know him will quickly realize that he holds a set of beliefs that are combined. For example, while he is against religion, he is also against abortion. 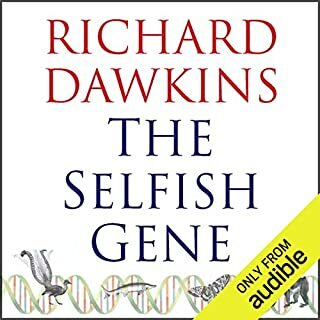 I would highly recommend this audio book. It is read by Mr Hitchens. While some previous comments have pointed out that he occasionally doesn't do the greatest job, I think this is more than compensated for because you really get the feeling that your listening to him give a talk to a group of people. It's true, Hitchens may mumble and he speaks with a British accent. To allow this to obscure the important ideas that he explores is a mistake. If it's sound ideas you're after, God is Not Great has more than can be absorbed in a single reading. The book is more than worthy of the minor effort. I'm persuaded by God is Not Great that any good that religion may accomplish can be better achieved without religion and, conversely, the worst evils will arise from religious belief, as they always have. Hitchens strengthens my view of religious faith as a barrier to clear thinking. It was refreshing to see his clinical treatment of religion in America, something Americans can't seem to do. The Mormons are one of his examples. Few in the US either know enough or have the nerve to discuss Joseph Smith as the sexual predator and con man that history shows him to be, or analyze the timely "revelations" that have kept the Mormons clinging to the fringes of viability through the years. The Mormons are only one of the book's examples of how fast a religion can spring from a fertile mind and spread to infect millions. 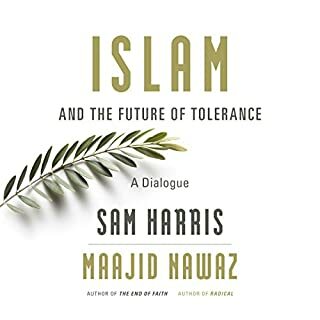 Hitchens makes a good case that we in America are uniquely susceptible to such charlatans (although England's new relationship with Islam would make equally fascinating reading). Those who are religious merely out of habit or a failure of introspection may be the ones to embrace the rationale of 'God is Not Great' most easily. The grimly devout will probably respond to Hitchens' ideas with the usual vitriol. They may rightly sense the inherent threat that such rational treatment of the 3 main religions' histories poses. I ended the book seeing that we're in a bit of a Dark Age and won't be free until the majority see religious thinking as the human invention that it is, and the devout minority are relegated to the same status as conspiracy theorists and UFO seekers. 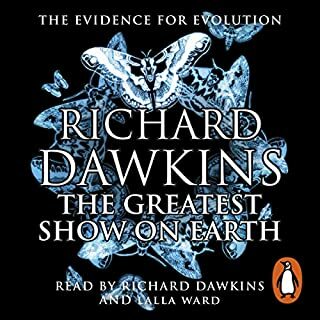 This is my fourth consecutive book dealing with an atheistic theme, and I enjoyed it as much as the other three (‘The God Delusion’, ‘On the Historicity of Jesus’ and ‘The Greatest Show on Earth’). It’s a very reasonable, well-argued discussion of religion looked at from many different angles. 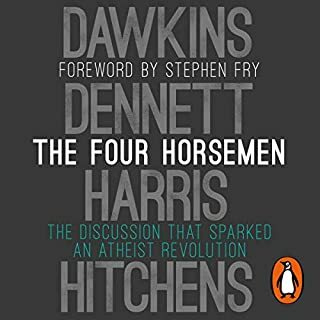 Christopher Hitchens, who here narrates his own work, has a reputation for being a pugnacious, controversial figure, one of the ‘Four Horsemen of Atheism’ and so I was expecting to find some of the material shocking or disagreeable, but I didn’t. It seemed to be mostly sensible and true, so I suppose I must already be a willing convert to this world view. He explains that religion arose in humanity’s infancy, when we had very little understanding of nature, when a deity was as good an explanation of lightning, volcanoes, sunrises and earthquakes as anything else on offer. Now science provides a much better explanation of these natural phenomena, but once religion has established itself, it is very hard to shake off. Young minds are indoctrinated with religious ideas, founded on fear, and then, in most cases, these beliefs persist through adulthood until death. Sometimes this is harmless enough, if people lead good lives and care about their fellow humans, but in many situations throughout history religion has caused repression, conflict and suffering. Each religion considers its own holy book to be the only true version of the creation story, while all others are heresies. In each case the story of the founding figures is based on a mish-mash of ancient documents which have very little historical credibility and are probably mostly fictional. And then these scriptures become the basis of a system of rigid rules dictating in minute detail how life must be lived; leading to harmful practices and beliefs such as female circumcision, the prohibition of contraception, the stipulation of the existence of hell, burning people at the stake and encouraging martyrdom (for the reward of 72 virgins), just a few examples of arbitrary edicts from dodgy ancient sources that have caused untold misery. The big three monotheistic religions have been around a long time, and they have pervaded all aspects of culture, art and literature to such an extent that they now have an aura of solemn authenticity and because of this long tradition they feel like the genuine article. But it is interesting to look at some recently formed religions to see how quickly they can spring up, based on bogus stories. The Mormon religion is a laughable case of a huckster, Joseph Smith, who wrote his own bible conveniently including prophets who had lived in the USA, yet this is now taken 100% seriously and is the founding document of a religious movement involving 15 million adherents. Haile Selassie and Rastafarianism provide another good example. Similarly, the ‘cargo cults’ that spontaneously cropped up in several Pacific Islands in the twentieth century offer an instructive model of how religions can form in a short time based on mythical figures (e.g. John Frum and Tom Navy), or unwitting real people (e.g. Prince Phillip), accepted as messiahs, who made no claims to having such status. It is not difficult to imagine that similar events may have occurred in antiquity to found the big three religions, in which case there should be no reason to be in awe of them. Hitchens summarises these and many other arguments very persuasively. He had an adventurous and exciting life as a foreign correspondent and he describes at first hand his experiences of some of the evils perpetrated in the name of religion. Perhaps he exaggerates with his mantra ‘religion poisons everything’ because, even if religious beliefs are unfounded, religion must nevertheless have given hope and consolation to many down the ages. Also, my own experience of many religious people is that they are happy and positive and lead good lives. So even if they are wrong about the existence of God, I don’t agree that it poisons absolutely everything. 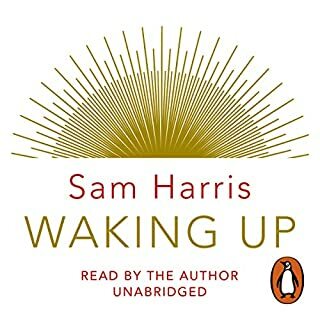 However, in general I found myself agreeing with Hitchens’ opinions and I found the book to be an excellent and enlightening listen. After listening to Christopher Hitchens' own oral reading of his book, I read a few reviews online. While most praised the London-born Vanity Fair columnist's prose and wit, many took him to task over alleged wild generalizations and selective readings of supposedly sacred texts and events. Never mind them. 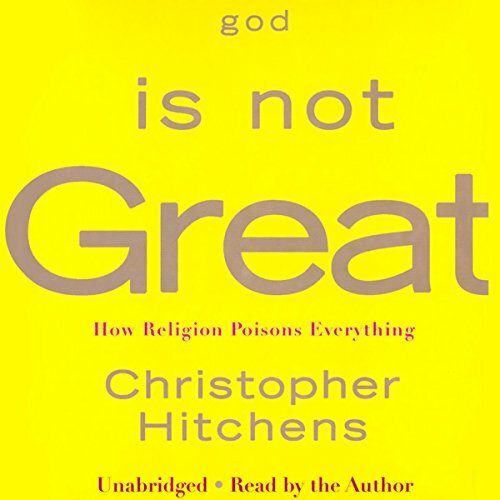 Hitchens' book is a scathing -- and, were this a just world, sobering -- examination not only of the tenets and histories of the three "big box" monotheisms of the world, but also of the idea of religion in general. 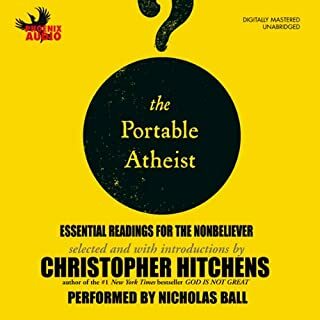 While Hitchens lays out very specific cases against Judaism, Christianity, and Islam (he even reserves a lengthy chapter for the fallacies inherent to the supposedly benign "Eastern" religions), his most potent vitriol is reserved for that universal class of charlatans who have made their living out of the cynical and systematic usage of mankind's vestigial fear of the unknown. Hitchens' draws on religious texts (including the Torah, Bible, and Koran) as well as many religious writers from throughout history to make his often hilarious and well-reasoned case against God. Channeling Voltaire, he muses that instead of God creating man in his own image, man creates God in his. 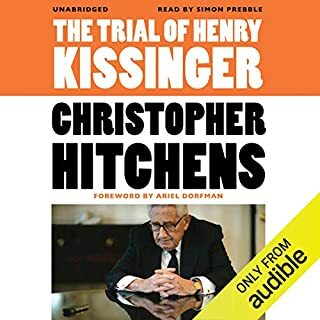 Hitchens' accent is very light, and on the whole he is very enjoyable to listen to, although he occasionally mumbles and is prone to finishing paragraphs off with a somewhat louder final phrase. However, he is careful to pause clearly when quoting any lengthy passages. "God Is Not Great" won't appeal to believers, but for anyone who is cynical toward the overall effect religion has had on world history and humanity, look no further. Hitchens is a very smart dude! I saw this guy interviewed on the Daily Show a couple weeks back and I was intrigued by what he said was in the book, so I picked it up. 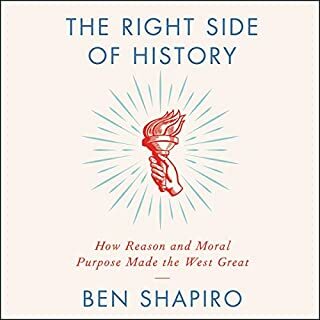 When I saw it was narrated by the author, I was originally put off -- on the Daily Show he was a bit of a slow talker, and generally the authors don't do as good a job as professional narrators. But the editor did a good job chopping out the pauses, and Hitchen's tendency to mumble his hard consonants was not too bad unless there was a lot of noise in the gym. The book is... ah, I'm not quite sure how to describe it. A screed against religion, I suppose. Initially it seems to be a long essay on why atheism... or perhaps Atheism... is the proper way to go if we as a planet are to move on. But it often devolves into a series of anecdotal vignettes on why religion and the religious are bad for... well, everything. Many times this is fascinating and sometimes it's a bit unfair (he tends to cherry-pick assumptions and forgive ignorance cases where it helps his cause and lambaste it in places where it does not), but it is always very entertaining. I enjoyed the dense allusions to classical literature and puns; pretentious maybe, but if you are reading the book you'll probably like it too. 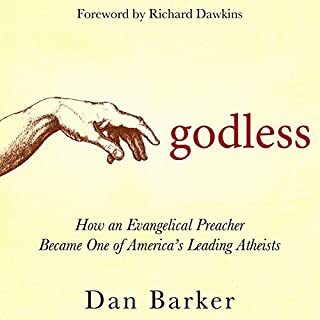 If you are an atheist - or wonder if you are - this is an important and thoughtful book to let you know you are not alone and not alone in wondering why no one points out all of the ways that religion gets it so wrong. 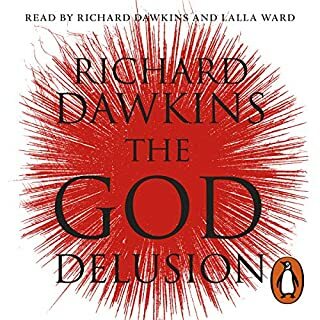 It is also important to note that Hitchens does not mock religion or the idea of god - in the way that Richard Dawkins does (e.g., in The God Delusion). 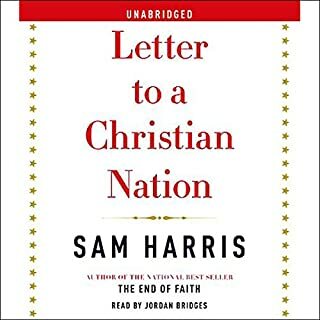 He also isn't trying to gently speak to believers to help them see how harmful a strident religion can be the way Sam Harris does (e.g., in Letters to a Christian Nation). Instead, Hitchens thoughtfully and scholarly dissects and discards each of the main arguments for god and shows how they are used to attack non-believers and control society. 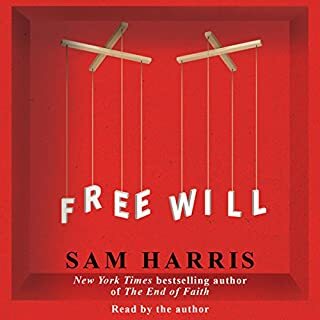 His arguments are VERY compelling and well thought out - if you are open to the notion that god is a very interesting idea but not self-evident - and not the domain of any religious group and should not to be used to control society. To the extent that there is a downside - it is Hitchens himself. Yet again, Hitchens remind us why writers should never narrate their own books. Although a few writers can pull it off - Hitchens is not one of them. For much of the book I was straining to hear and to understand him. He seems to mumble and he trails off at the end of sentences. Although frustrating, it did not distract enough to undermine the significance of this book. A great book read by the man himself. Today is a sad day indeed. ....One of my first audiobooks and still one of my favourites.